Welcome. Please read the following. If anything is unclear, please ask. This 60 minute Akashic Records Reading Agreement (“Agreement”) is made today between Sweet Path Wellness, Inc. (“Sweet Path Wellness”) which will provide the services of the Coach of the Program, Priscilla Stephan, (the “Coach”) and the person purchasing this service (“You” or “Your”). 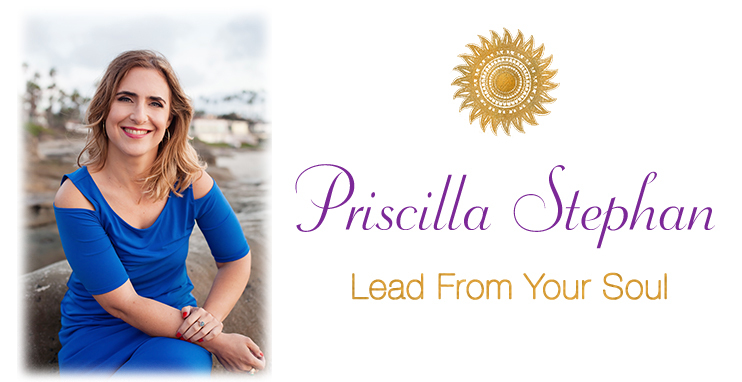 You are purchasing the service via www.priscillastephan.com (the “Website”). This Agreement is effective as of date You click “I Accept” on the Website (the “Effective Date”). The Coach understands that You have a busy schedule and the Coach takes pride in not keeping people waiting or keeping them longer than planned. Therefore, please be on time for your 60 minute Akashic Records Reading. The Program Fee for the session is non-refundable once payment is completed. By purchasing the Soul Profit Session Akashic Records Reading, the client acknowledges and agrees that neither Sweet Path Wellness (nor the Coach) will refund any payment made by or on behalf of the client for any reason. An Akashic Records reading is not a medical treatment or a substitute for medical treatment. Rather, it is theosophy, and the benefits are not capable of demonstrable, scientific proof. You agree to continue to visit and to be treated by your healthcare professional(s), including, without limitation, physicians. You understand and acknowledge that the Coach is not acting in the capacity of a doctor, licensed dietician-nutritionist, psychologist or other licensed or registered professional. Accordingly, when you click, “I Agree” on the Website when purchasing a 60 minute Akashic Records Reading, You are stating that You understand and acknowledge that neither the Coach nor Sweet Path Wellness provides healthcare or healthcare services, medical services, or nutrition therapy services, and that neither will diagnose, treat, mitigate, cure, or prevent, in any manner whatsoever, any disease, condition, symptom, or other physical or mental condition or ailment of the human body. You agree to follow, on a timely basis, all regimens, including drug treatments and therapies, prescribed by Your physicians and other licensed or registered healthcare professionals prior to and after the 60 minute Akashic Records Reading. You have chosen to work with the Coach, and You understand and acknowledge that You will not accept or consider the information and suggestions received from the Coach as medical or therapeutic advice of the kind administered by a medical professional. You take anti-psychotic medication of any kind. The 60 minute Soul Profit Session Reading in the Akashic Records is a holistic assessment of the profit and energy leaks in your business with suggestions to transform them. You acknowledge that You are responsible for your life and well-being, as well as the lives and well-being of Your family and, when applicable, children. Therefore, while the Coach may make suggestions, You agree to take full responsibility for any and all decisions You make after the 60 minute Akashic Records reading. You acknowledge that an Akashic Records Reading, including any follow up, is a combination of a theosophy and a coaching program, and not materially objective; nothing can be proven about its effects, advantages, or otherwise. Therefore, You, for Yourself and on behalf of your heirs, executors and assigns (collectively, “You”), hereby release and forever discharge Sweet Path Wellness, the Coach, and their respective successors, assigns, heirs, executors, administrators, officers, directors, shareholders, employees, teachers, lecturers, agents, health coaches and staff (collectively, the “Releasees”) from any and all liability, damages, causes of action, allegations, suits, sums of money, claims and demands whatsoever, in law or equity, which the You ever had, now have or will/may ever have against the Releasees or any one (1) of them, arising from the Your participation, in whole or in part, in a 60 minute Akashic Records Reading and any follow up thereof (irrespective of the name, trade name, or trademark under which it is provided) or any aspect of it. You hereby agree that Your 60 minute Soul Profit Session Akashic Records Reading may be recorded by Sweet Path Wellness. The Coach will keep all information provided by the You or exchanged during the phone conference(s) in strict confidence, unless disclosure is authorized by the You or is required operation of law such as court order, agency order, subpoena or the like, or if Sweet Path Wellness or the Coach believes that the You or a third party may be endangered, in which event Coach will advise an appropriate authority. This represents the entire Agreement of the parties and may not be amended except by a writing signed by both parties. This Agreement shall be construed according to the laws of the State of New York without reference to choice of law. In the event that any provision of this Agreement is deemed unenforceable, the remaining portions of the Agreement shall be severed and remain in full force. In the event a dispute arises between the parties, either arising from this Agreement or otherwise pertaining to the relationship between the parties, it shall be resolved by arbitration before a single arbitrator. Such arbitration shall be administered by and shall follow the rules of the American Arbitration Association. Unless the parties agree otherwise, the arbitration shall be held at the offices of the American Arbitration Association in New York, NY. The arbitrator shall be an attorney having significant experience in commercial law. The arbitrator shall not have the authority to do the following: require that any hearing be held before a court reporter; declare this Agreement or any provision thereof void; terminate this Agreement in whole or part or order rescission of this Agreement in whole or in part; or award punitive, consequential, liquidated or other extraordinary damages. The sole remedy that can be awarded to the You in the event that an award is granted in Your favor is refund of Program Fee exclusive of interest. Each party shall bear its respective attorneys and other fees associated with any matter. The decision of the arbitrator shall be final and non-appealable, and may be entered as a judgment in the appropriate court. If the terms of this Agreement are acceptable, please click I Accept on the Shopping Cart page. Until You accept these terms the Shopping Cart will not accept your name or other information. Upon clicking I Accept You acknowledge that: (1) You have received a copy of this Agreement; (2) You have had an opportunity to discuss this Agreement with the Coach and, if desired, to have it reviewed by an attorney; (3) You have read this entire Agreement and agree to be obligated to pay the Program Fee; and (4) You understand, accept and agree to abide by the terms hereof.